A Panga might not win a skiff beauty contest. Its bow juts high, its beam runs on the narrow side, and the typical iteration found in the fisheries of developing countries amounts to a stripped-down hull with absolutely no frills. The Panga, however, still has a lot going for it. 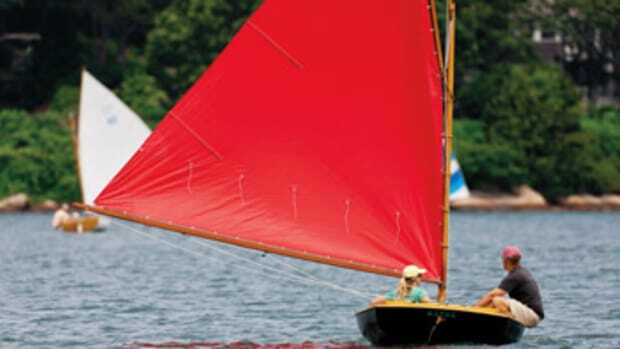 Panga-style skiffs have been around for more than three decades, born as a project of the World Bank, which financed the development of the design and promoted its use in Third World countries to help improve the lives of local fishermen. The versatile design is suitable for fishing the shallows or open water, and it’s capable of carrying heavy loads without sacrificing seaworthiness. 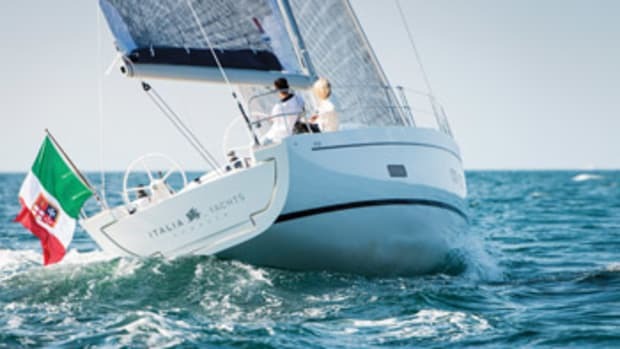 The hull’s sharp entry, flat riding surface aft and narrow beam produce less wetted surface when planing, requiring smaller outboards than other skiffs and boosting fuel economy. The Panga was right for fishermen on shoestring budgets, and it became the boat of choice in countries throughout the world. About seven years ago, the Panga-style skiff came ashore in Florida, and it’s been winning converts ever since. 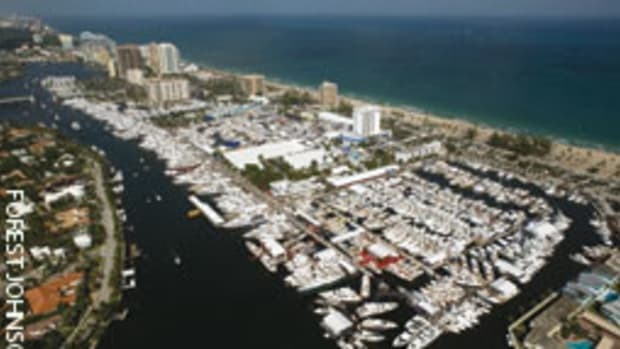 Rob McDaniel, president of Panga Marine in Sarasota, Fla., began importing and selling Panga-style boats in 2001 from a Mexican manufacturer. About three years ago, he started building modified versions fitted out with features U.S. anglers wanted, such as center consoles, bait wells, fishboxes and rod holders. McDaniel characterizes sales as growing steadily. “We’re approaching 200 boats per year across the product range,” he says. The fiberglass Panga Skiff is true to the traditional Panga form, meaning it’s a simple boat without all the bells and whistles. It has an inner liner molded to the hull — with foam to provide flotation — and a self-bailing cockpit. The keel is reinforced with Kevlar. Concave running pads — slight tunnels in the hull — to improve overall performance and fuel economy. Angler Boat went into production with its Angler Panga 26 in 2002 and has built more than 250 of them. 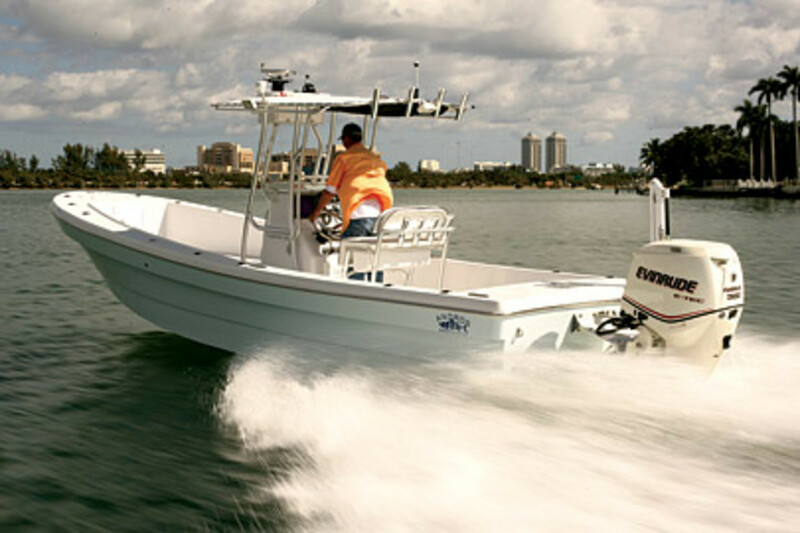 Available with single or twin outboards to a maximum of 225 hp, the center console Panga 26 cruises at 32 knots. 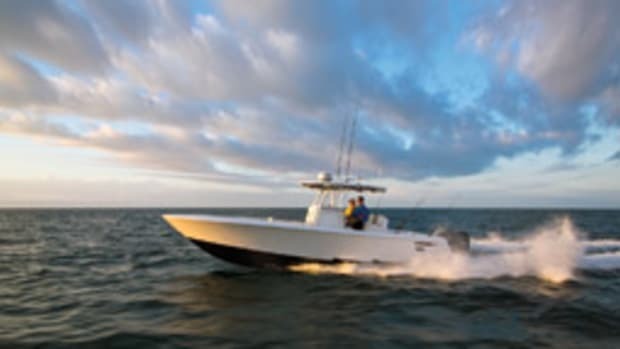 Like Panga Marine’s 18-footer, the Angler Panga 26 is a barebones boat with no live wells or other special features, which Angler’s Gerritt Walsh says are incorporated into the Angler Panga 22 to appeal to U.S. anglers. “The 26 is pretty Spartan,” he says, adding that it’s the simplicity that many users find attractive. The boat has a one-piece deck and liner, with foam injected between it and the hull for flotation. The foam also deadens sound and adds structural rigidity to the hull. Angler’s boats are built from hand-laid biaxial fiberglass and polyester resins. Andros Boatworks, also based in Sarasota, built its first Panga-style boat in 2006, a 22-footer, and it soon expanded its line to include 23- and 26-foot models. Earlier this year it added the Backwater 18. Andros modified the Panga design — the company calls it a hybrid — to better suit U.S. buyers. 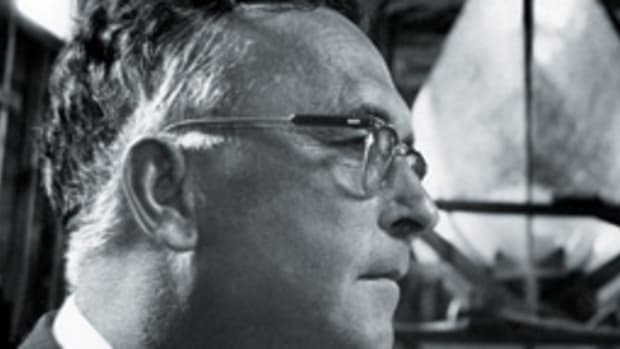 It has built approximately 130 boats so far, with the Tarpon 26 topping the list in popularity, Eggebrecht says. Among other features, the Tarpon 26 has a 40-gallon live well aft, insulated fishboxes, and a custom hydraulic jack plate with 21 inches of travel. 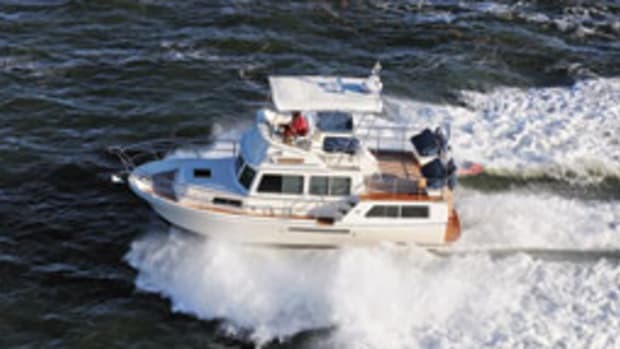 It cruises at 30 knots (34 mph) and gets 3.9 mpg at 4,000 rpm with a 300-hp Suzuki 4-stroke. The hull is built with hand-laid biaxial fiberglass and vinylester resin. 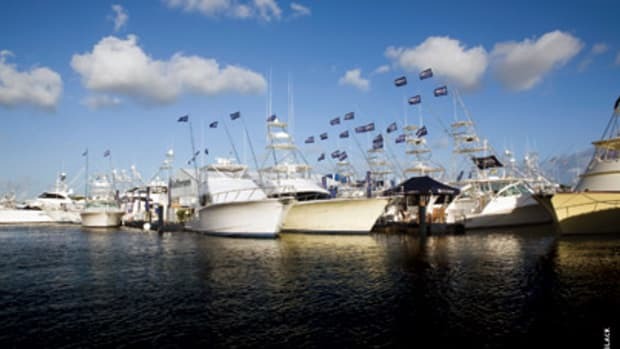 Angler’s Walsh describes the Panga’s entry in the United States as a “Florida phenomenon,” but since 2002 he’s seen his dealer network expand geographically all the way to New England. “There does seem to be a kind of growing appeal as people learn about Pangas,” he says.